i spent Monday, thinking about my Tuesday post. I was hoping to share something humorous, but it’s hard to find humor these days without a political spin. Monday evening I came across a posting by my North Carolina neighbor giving instructions on how to tie the CDC Carrot Nymph. My first thought was is he working for the CDC? (Centers for Disease Control) On second thought, I decided that carrots and nymphs probably weren’t disease related. I knew my North Carolina neighbor, Gordon, was a fishing guide in the Smoky Mountains, but I had no idea he had a YouTube channel! “The first mention of fly fishing is in The Treatyse of Fishing with an Angle, published in 1496… . If you want to read more about The Treatyse visit the “origins” page“. So, if any of our readers like fly fishing, here is one of my neighbor Gordon’s videos. Should you be interested in a fly fishing trip in our beautiful Smoky Mountains, visit Gordon on his website for information. Friday my husband, our daughter and myself drove from Florida to the mountains of North Carolina. I read on Facebook that the Great Smoky Mountains National Park had a large snowfall during Hurricane Sandy and I couldn’t wait to check it out. The highest point in the park is Clingman’s dome and the road up to it is closed during the winter beginning December first, so this would be a rare opportunity to visit it covered in snow. Saturday we picked up our two grandchildren and loaded the car up with an assortment of jackets, plastic sleds and picnic supplies. 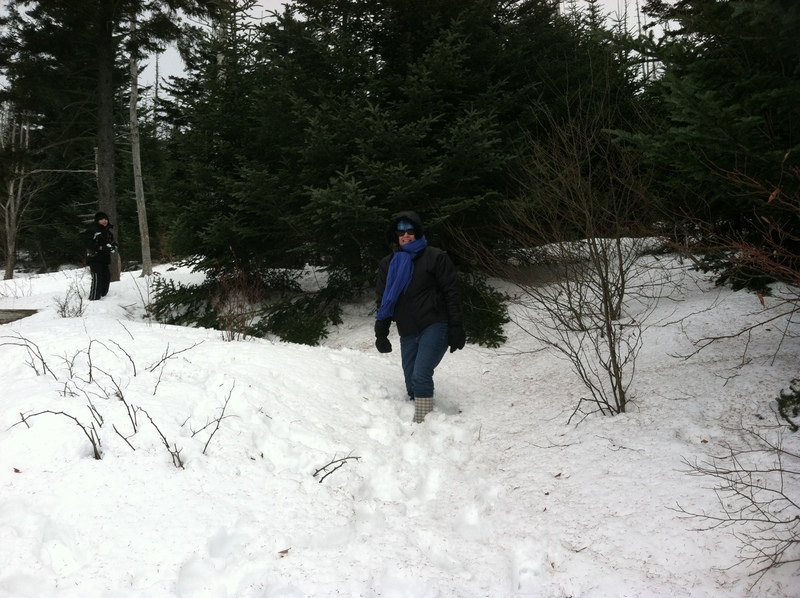 When we arrived at Clingman’s Dome the parking lot was jam-packed. Jumping out of the car we were hit by a cold wind and hurriedly pulled on jackets, scarves, hats and gloves. It was at least twenty degrees colder up there! 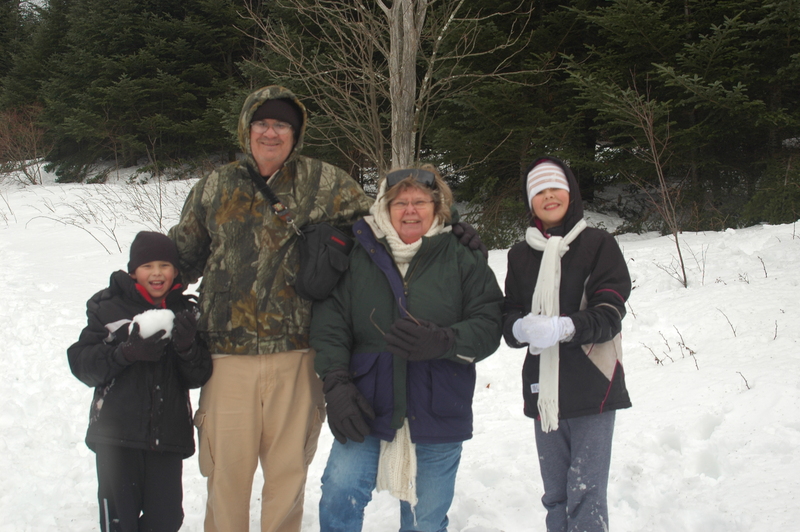 Due to the ice and our fear for our old bones we didn’t make it to the top but the grandkids still had a blast. 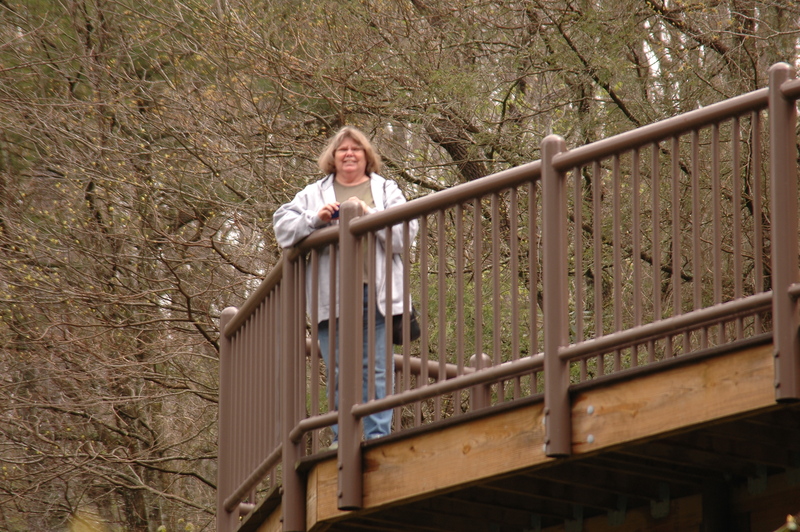 Next we drove to Newfound Gap and had an unconventional picnic before moving on to the area we affectionately call “sled hill”. 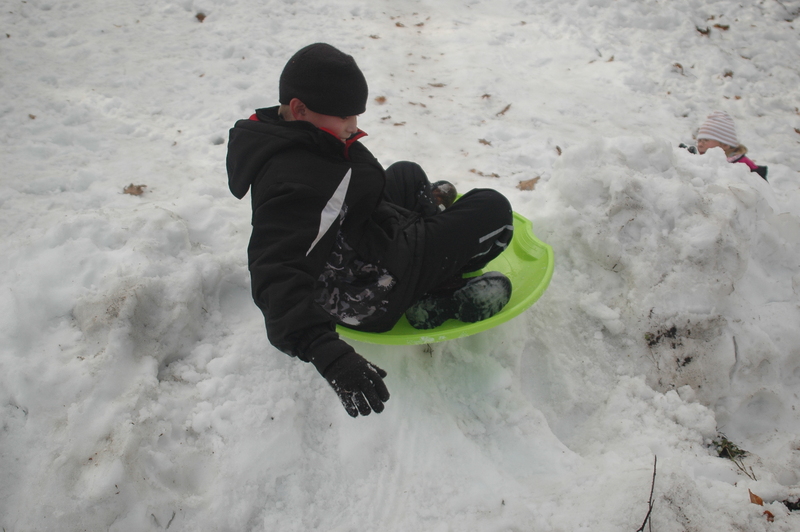 The children are sledding pros and quickly owned the hill. Rebekah took several rides down the hill as well. 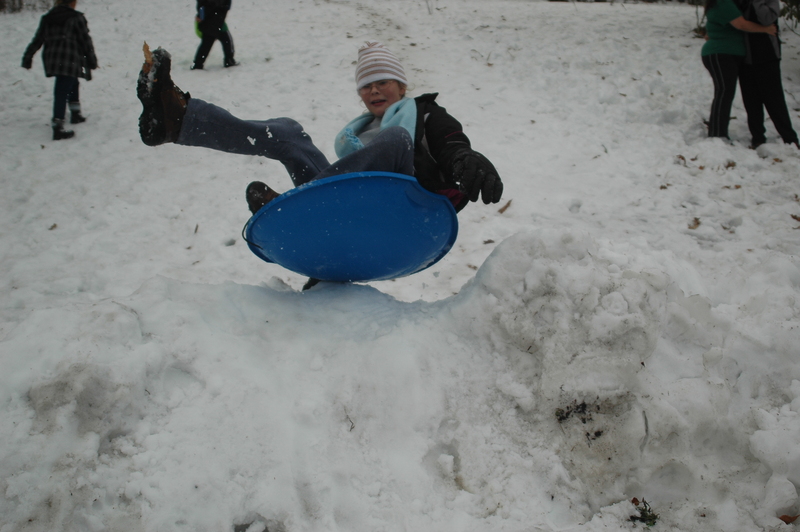 As for me, I did take one ride and loved it, but bowed to prudence and gave up my sled. Seeing our grandchildren having fun was worth the trip but something else made it really special. 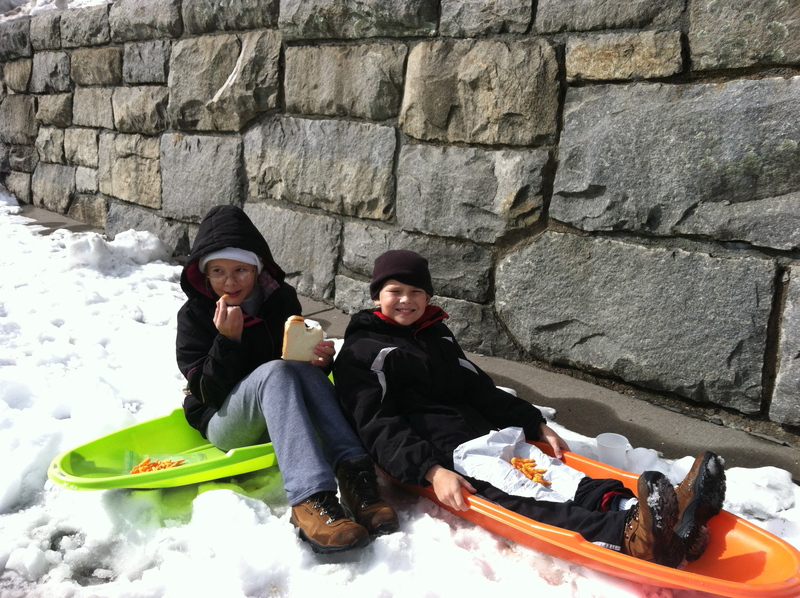 We ended up having two sleds not in use. As families came to watch we offered the use of them. Some families accepted, some didn’t. One little guy was with his grandpa and had been begging to go sledding. He was quite brave and bold as he came down the hill laughing. Best of all was a group of young men in their twenties. From their appearance and accent, I think they may have been from India. I got the impression they might be seeing snow for the first time. They tentatively picked up some snow, rolled it around in their hands and made a snowball. Watching them, I noticed how their eyes followed the sledders. I decided to be bold and ask them if they would like to sled. It was interesting to see their internal struggle, should they or should they not. For a second or two I was afraid my offer may have offended their sense of dignity, then decided what the heck. I offered again in a teasing voice, “come on, you know you want to try it, just do it”. Their eyes dashed from one to another until one of the more mature appearing men stepped forward and held out his hand. What fun they had! They all took turns. 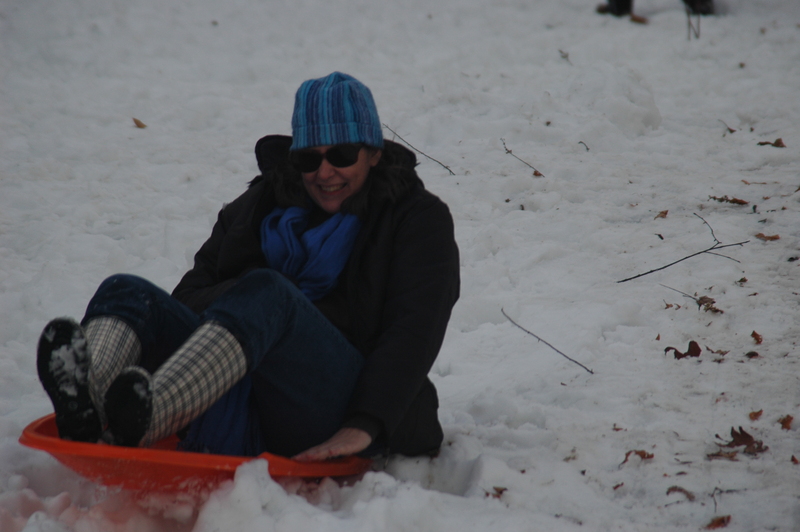 During the time we were there we shared the sleds with children, adults and differing races and nationalities. It was one of those rare perfect days. I wish it could have lasted all week.